Face cleanser wipes, also called face cleansing wipes, are perfect for those days when you are on the go, traveling, or simply too tired to cleanse your skin properly. They make a great replacement for your full routine in the evening. These wipes are specifically made to be coated in a cleansing solution, so you can clean your skin by using them and nothing else. Of course, there are some limitations and some rules when using them, so let’s go over everything! If you are thinking of replacing your entire cleansing routine with a face cleanser wipe, think again. If you wear light to no makeup, you can probably get away with using just wipes, but the key thing to remember is that no wipe can ever replace a proper cleanser and clean water. Of course, if you are traveling and cannot take your usual cleanser on the plane, are sleeping in hostels, and taking a lot of trains from place to place, face cleanser wipes will be your best friend! Just make sure that you do a full cleanse at least once a week to keep your skin healthy. Are Face Cleanser Wipes Good for Your Skin? Even though they are amazing in a pinch, are face cleanser wipes actually good for your skin? We need to be honest here: yes, these wipes are awesome save a lot of time. 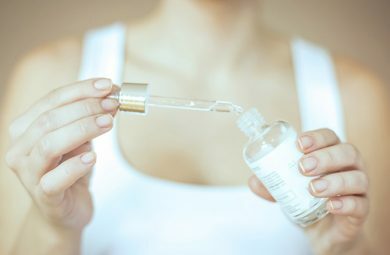 They can even do a decent job of cleaning our skin, but experts agree that they are far from what is best for your skin. 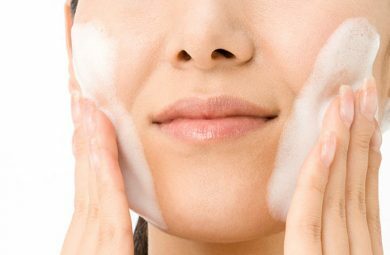 Skincare professionals do not recommend replacing your skin cleansing routine with face wipes, simply because they will not provide the cleansing power your skin needs, especially after heavy makeup days. One of the problems they state is the fact that when you use these wipes, you likely aren’t going to properly rinse your face. During your normal routine, you rinse your face multiple times, and you splash it with water to remove any cleanser residue. 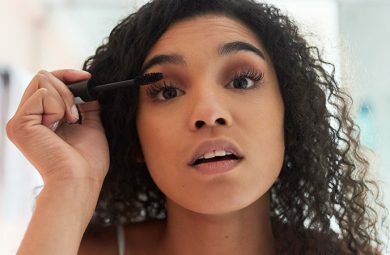 When you are using wipes, this step is often skipped, and you are basically leaving the face wipe ingredients on your face, which includes alcohol and other chemicals. This can lead to irritation and clogged pores, as well as increased skin sensitivity. Another issue is the pressure you put on your skin, especially around your eyes, when you use face cleanser wipes. If you do this often, you risk causing fine lines and wrinkles by pulling on your skin, especially in delicate areas. If you have acne prone skin, wipes will not be enough for you. They can spread bacteria and dirt around your face and cause more inflammation and irritation, which can result in more acne. Stick to your actual cleansers and only use the wipes when you absolutely need to. Even though both face cleanser wipes and regular cleansers remove makeup and cleanse your face, one is better than the other. But which one? When we talk about everyday use, what do the experts say? Although they agree that wipes will do the same job to an extent, most experts recommend using a regular cleanser and water instead of face cleanser wipes. Why? The wipes are just not powerful enough! And we don’t mean in terms of chemicals. To cleanse your face with face wipes, you will probably need to use three or more of them until you stop seeing makeup residue, and by that point, you will have dragged the wipes across your face many times, potentially causing wrinkles and fine lines. You’ll also smear dirt and oil all over your face in the process. With a regular cleanser, you are splashing your face with water and those dirt particles end up in your sink, instead of your skin. Face cleanser wipes and makeup remover wipes are similar; there are only a few small differences. Makeup remover wipes are specially formulated to remove foundation, eyeshadow, mascara, and other makeup products, and cleanse your face at the same time. Face cleanser wipes are there to cleanse, and maybe remove makeup in the process. Even though they are similar, if you are using just the wipes for your cleansing routine, be sure to use both! Remove your makeup with makeup remover wipes and then cleanse with a face cleanse wipe afterwards. You will get benefits from both, so you’ll have a deeper cleanse than with just one of them. Start by rubbing the wipe on your face in circular motion. Use gentle pressure and go over your entire face, except the area around your eyes. You will probably need to use more than one wipe for your entire face. Do not stop until you see a perfectly clear wipe, with no traces of makeup. Do not skip the areas around your hairline, ears, or your neck. Next, move on to the area around your eyes. Be very gentle and do not pull or go back and forth around your eyes. Instead, use dabbing motions instead of wiping to prevent damage to your skin. Finally, be sure to rinse your face thoroughly if you’re able to do so. 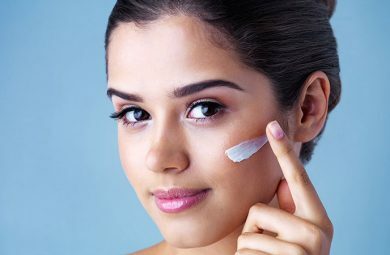 Apply moisturizer to replenish some moisture to your skin as it is possible that your makeup wipe has taken some away.